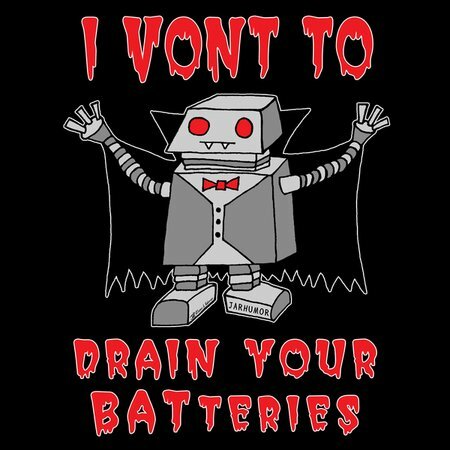 I vont to drain your BATteries! The chilling voice modulations of the Gizmo Ghoul! The Duracell Dracula! The Voltage Vampire! Lock your keypad and minimize your Windows! 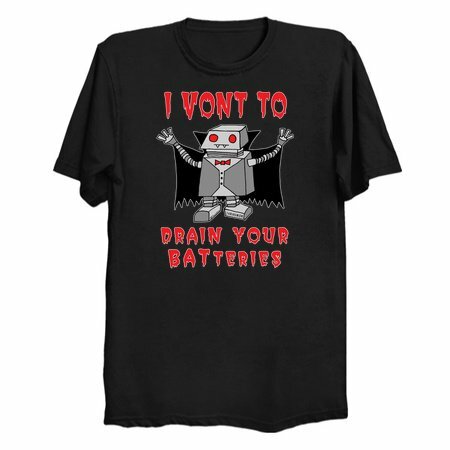 And hope you never interface with -- ROBOT VAMPIRE!